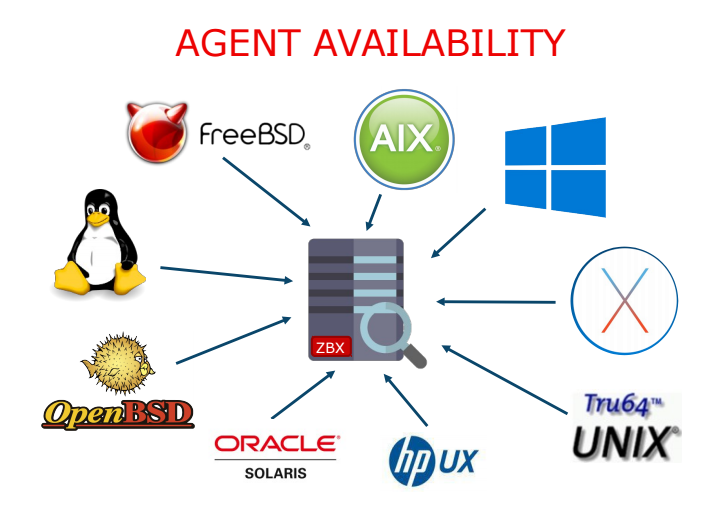 A native Zabbix agent, developed in C language, may run on various supported platforms, including Linux, UNIX and Windows, and collect data such as CPU, memory, disk and network interface usage from a device. Due to its small footprint, the agent can be run on devices with limited resources. The monitoring configurations are centralized in Zabbix server, making it easier to manage the Zabbix agent, which can use a single configuration file on all servers. 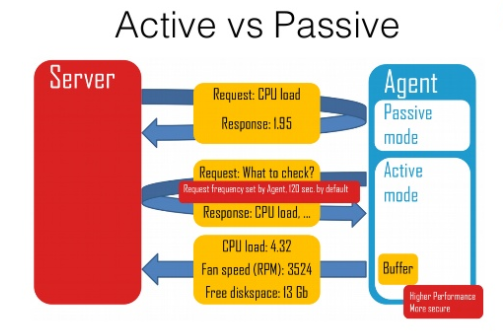 Zabbix agents support both passive (polling) and active checks (trapping). Zabbix may perform checks based on an interval, however, it is also possible to schedule specific times for item polling. The following list of checks is suported by Zabbix agent out of the box. See full list of supported checks. Support for monitoring text logs and the Windows Event Log is a native function of Zabbix agent, including support for rotation. 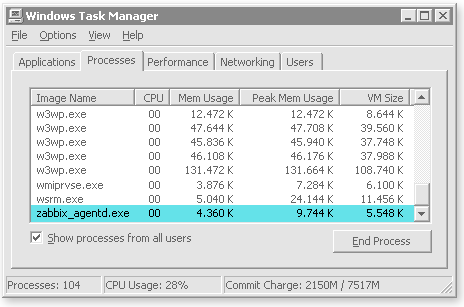 It is possible to graph data from log items, when specific-content extraction capabilities are used. The logs are constantly analyzed by Zabbix agent and when a defined search item is found, Zabbix server is notified and may even take some action or automatically send a notification to a user or group. Zabbix agent features native Windows Management Instrumentation (WMI) support, enhancing the ability to easily obtain and monitor real-time system information and performance metrics from Windows servers and workstations. WMI queries can be performed with wmi.get key to retrieve a single string, integer or floating point property from the specified WMI namespace class. For more information about Windows Management Instrumentation, available classes and their properties see MSDN documentation. Zabbix agent supports IPv4 and IPv6 addresses.